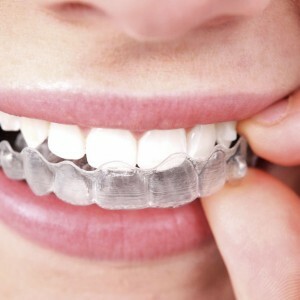 Nowadays, there are many ways to straighten your teeth from traditional metal braces, Smile Direct Club, to Invisalign. 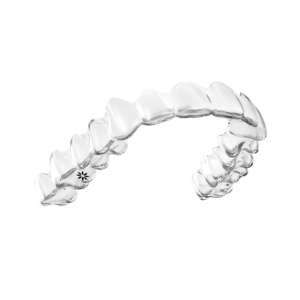 Invisalign and Smile Direct Club have been the most popular options, especially for adults who want the discreet look of straightening their teeth with clear aligners. With all these choices, what is the best option for you? First, when deciding to straighten your teeth it’s no joke that you want the best option. When deciding to do Invisalign with Philadelphia Dentistry you’re getting the best care you can possibly get from a dentist office. Our staff at Philadelphia Dentistry goes above and beyond to make sure our patients get the best care. You’ll have all three of our great doctors at your disposal for any questions or concerns you may have during your Invisalign treatment. What to except with Invisalign? Professional impressions and photos, including X-Rays will be provided to insure you’re receiving the best care. At every appointment you will receive your new set of customized Invisalign trays which are designed to move your teeth in the right order and speed. With every Invisalign patient we include bleaching gel to make sure your teeth are as white as possible to give you the best smile makeover. We make sure to monitor your teeth and make any additional trays at no charge. Once your teeth are completely straight we make your retainer to maintain the position of your teeth. Invisalign is designed to be the most convenient way of straightening your teeth. At Philadelphia Dentistry we make sure our Invisalign patients have the best experience and smile makeover possible. The only thing Invisalign and Smile Direct Club have in common is that they both have clear aligners for you to wear. There are no in person dentist visits that allow the dentist to monitor your treatment. A lot of times people that use Smile Direct Club end up going to the dentist to correct any problems they had while using Smile Direct Club. The most common problem is that attachments are not used, this could make your teeth move back and forth and not move the way they were originally planned. When deciding what option is best for you make sure to do your research and decide what your goals, budget, lifestyle, and timeline are for straightening your teeth. Choosing Philadelphia Dentistry for Invisalign you are deciding to work with some of the best doctors in Philadelphia. When it comes to your smile you don’t want anything, but the best. Call us today 215-568-6222 to schedule a free Invisalign consultation and ask about our Invisalign outcome simulator, which allows you to see what your teeth will look like after your Invisalign treatment before you even start it. Metal braces are a thing of the past. Forget those brackets, wires, and rubber bands, there is a faster, easier, invisible way of straightening your teeth. Invisalign is the new and affordable way to get that smile you always wanted. Here are a few things you need to know about the benefits of using Invisalign. You will become healthier using Invisalign. Heath problems can occur if you have badly positioned teeth. When you have crooked teeth, it causes more food and bacteria to get trapped in between your teeth resulting in more cavities, gum disease, and infections. Patients with misaligned teeth will sometimes grind their teeth at night due to a poor bite, resulting in sensitivity and sore muscles. Studies by the ADA (American Dental Association) proved that oral infections can lead to more serious conditions, such as, diabetes, heart disease, pneumonia, and even a stroke. Which leads me to benefit number two. Easy to clean. 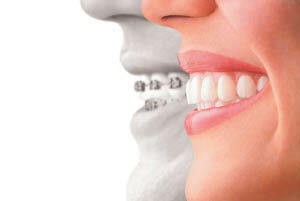 One of the most challenging things to do when you have braces is to clean in between the metal brackets and wires. With Invisalign you simply take out your trays to brush and floss as you normally would. This prevents plaque buildup that could result in gum disease, tooth decay, or infections. It’s practically invisible! No more huge metal brackets, wires, and rubber bands sticking out of your mouth. 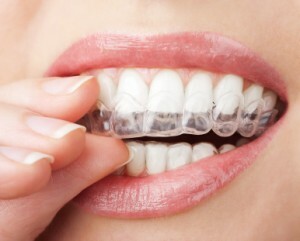 Invisalign is made from clear plastic aligners so they are almost impossible to notice. You don’t have to feel embarrassed anymore to get braces because most people won’t even know you have them on. They’re easily removeable and extremely comfortable to wear. Just ask some of our patients. It’s fast. Invisalign is quicker than traditional braces so you’ll get that smile you always wanted much faster. Every Invisalign case is different, but on average adult cases typically last 12 months. It’s affordable. Invisalign compared to traditional metal braces cost less. With our simple finance options, it makes Invisalign that much easier to get without putting a dent in your wallet. In office scan. At Philadelphia Dentistry we can now scan patients right in our center city office with the iTero Scanner. This allows us to take state-of-the-art digital impressions without using that messy putty in your mouth to take a physical impression. With this technology it is sent instantly to the Invisalign lab and allows our office to start treatment 2-3 weeks faster than other Philadelphia dentists! So, what are you waiting for? If you want that beautiful smile that is affordable, comfortable, and fast give us a call today (215-568-6222) to schedule an appointment with our amazing doctors. Remember not only are straight teeth beautiful they are healthy too. You may or may not have heard of Invisalign treatment through a friend, family, dentist, or TV commercial. Invisalign is an exciting advancement in dentistry in which we are able to straighten teeth with clear aligners and leave metal braces in the past. The process will often be faster than alignment with metal braces and take less than a year to happen. Invisalign is so invisible to the eye that you likely have spoken to someone going through Invisalign treatment and did not even know it! Initially the feeling of the tray to your tongue may cause your speech to slightly lisp, however, after only a day or two this will subside. When your trays are over the teeth they will often look whiter, brighter, and straighter to others since the plastic gives a slight shine. This is great for wedding photos- believe it or not many patients prefer to have the trays in rather than out for these photography sessions! Invisalign treatment is a commitment. If you want your teeth to move into the right place and become straight you have to wear the trays all day and all night for a minimum of 22 hours per day. You can take them out to eat your meals but once you are done eating, rinse the trays and place them back on. This may seem difficult; however, once a habit is formed it becomes second nature for most patients. With Invisalign trays in place most patients tend to snack a lot less. Patients will find themselves with their clothes fitting better and tell us that their mindless snacking has drastically reduced. Drinking coffee with the trays in place will stain the trays to look yellow. We tell patients to use a straw however even with this trick the stain still builds on the tray. This leads patients to think again before having a cup of coffee, cutting down caffeine intake. You may remember metal braces being extremely painful and uncomfortable as a kid, especially when you needed to go and get the braces tightened. Invisalign is nothing like this throughout treatment. For the first few days in your trays, the teeth will go through shock and feel sore, however, this only lasts a short while. As time passes your teeth become used to the trays and patients even tell us that they “miss having the trays in” once they are done treatment! Toothpaste has abrasive ingredients that can damage the Invisalign trays. Your eye might not see the scratches however you will notice the trays will stain more. Sometimes they can get an odor too from toothpaste. It is better to clean your trays with mild soap and water, or purchase retainer cleaning tablets at the drug store. Patients tell me all the time how happy they are they moved forward with Invisalign treatment. They are more confident with their smile which improves confidence in every aspect of their lives. Patients are also able to keep their teeth healthier since straight teeth are easier for them to clean and for their dental hygienist to clean too. If you have been thinking about Invisalign treatment call us to schedule a free consultation with Dr. Ken Cirka and Dr. Jessica Meier at 215.568.6222 today! We look forward to meeting you. Many patients when starting orthodontics wonder why they need to continue seeing their general dentist for check-ups and cleanings regularly since they are seeing the orthodontist every month. Dr. Cirka and Dr. Meier stress to each and every patient that is seeing us or seeing the orthodontist for braces or for Invisalign that it is extremely important to continue with regular check-ups and cleanings. The most important reason to see the dentist regularly is so that the hygienist can remove the pl aque and tartar that builds up. With orthodontic brackets and wires, there are loads more nooks and crannies where bacteria can hide. Not to mention there are areas harder to reach to clean too. The bacteria that stick underneath the gums as well as on the teeth themselves also physically stick to these brackets and wires. These bacteria can cause cavities, gingivitis, and even lead to patients developing infection that affects the jaw bone and overall health of your entire body. Another important motivation to see the dentist regularly while you are in braces is to protect the teeth from forming white spots on the surfaces. These white spots are called “decalcification” and happen as a result of the teeth losing Calcium, an important mineral that keeps the teeth healthy. These white spots are not only unsightly but they are also weaker and can transform into cavities more easily than other areas of enamel. By seeing the dentist regularly for cleanings it will also ensure that you stay cavity free. If cavities develop during orthodontic treatment they can significantly delay the treatment time and patients can end up in braces a lot longer than initially expected. When cavities arise during orthodontics, often the dentist must ask the orthodontist to take off all of the wires and metal bands so the dentist can properly access the teeth and clean the bacteria. At regular check-ups and cleanings your dentist and hygienists can provide fluoride treatments, dental sealants, and many preventative measures that help keep the teeth strong and cavity free. 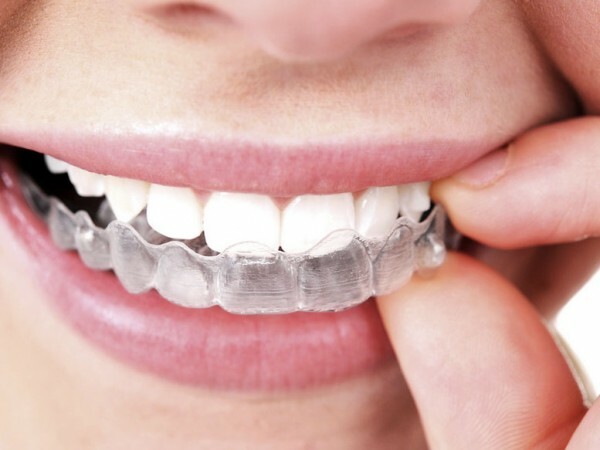 Keep in mind that for patients in clear aligner trays like Invisalign it is equally as important to see the dentist and have your check-ups and cleanings done regularly. Bacteria can build up around the attachments on the teeth as well as in addition to the areas where the orthodontist or dentist created space to help the teeth move. See your dentist regularly for check-ups and cleanings both during orthodontics and afterwards to keep your teeth looking and feeling their best. 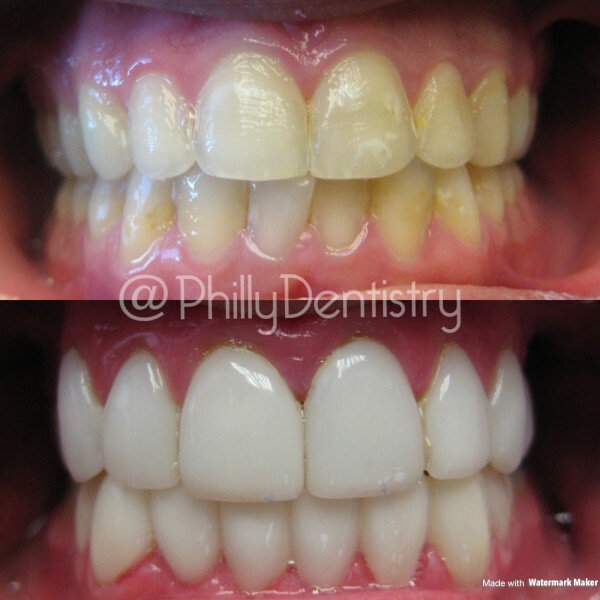 Call us to schedule a free consultation with Dr. Cirka and Dr. Meier at Philly Dentistry at 215-568-6222 today! Hope to see you soon!